Um also set a price target on Tesla stock of $430, compared to about $250 recently. "We believe the auto industry is on the precipice of a multi-decade transformation driven by disruptive innovation and technology," the analyst wrote. Um said the company -- which he argues should be viewed as a technology company rather than a conventional carmaker -- is “uniquely positioned” to lead in the area of in-vehicle ecosystems “given its lead in deep software platform integration into its electric vehicles and its position in autonomous with more than 8 million miles of real-world driving data per day." The company’s stock price climbed about 5.2 percent during Tuesday morning trading on the note. Before that, Tesla’s stock was down more than 19 percent year-to-date, driven lower in part due to CEO Elon Musk’s erratic behavior. Um acknowledged that Musk’s behavior -- which has ranged from making false statements about having the funding to take the company private to mocking the SEC on Twitter -- might have investors "understandably concerned." "Musk's actions and behaviour could adversely impact Tesla's multiple," he wrote. However, "Musk will continue to be a key part of Tesla in the foreseeable future." 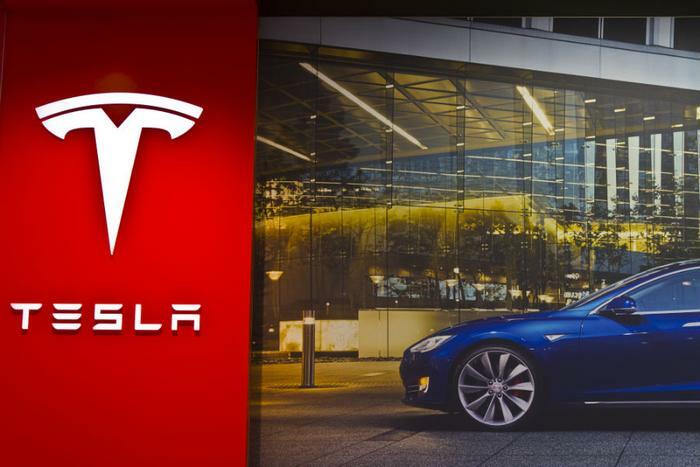 Um’s confidence in Tesla is based on the company being able to overcome its debt challenges, which he believes is possible through the presence of multiple sources of cash flow. He said raising cash by selling equity could benefit the company, even though Musk has said that Tesla doesn’t need to raise more cash. "While CEO Elon Musk has said the company does not have to raise more capital, we believe a raise through equity would be beneficial in further strengthening its longer-term outlook as well as providing a cushion in case of any unexpected periods of economic softening,” Um wrote. “Macquarie estimated Tesla will get $500 million to $600 million in revenue from clean energy government credits in the second half of 2018. He also said cash flow will be boosted by rising Model 3 sales and access to $1.2 billion in unused debt,” according to CNBC.